If you don't currently have a DHL account then you could benefit from the best rates available by signing up using Veeqo Shipping. For more information on this please follow the below steps and at Step 3 hit Register Interest instead of filling in your DHL Account Details. 3. Fill in your DHL account details and click Connect to save and activate your DHL integration. We'll then activate your DHL account within 24 hours Mon-Fri and drop you a message once it's ready for use. 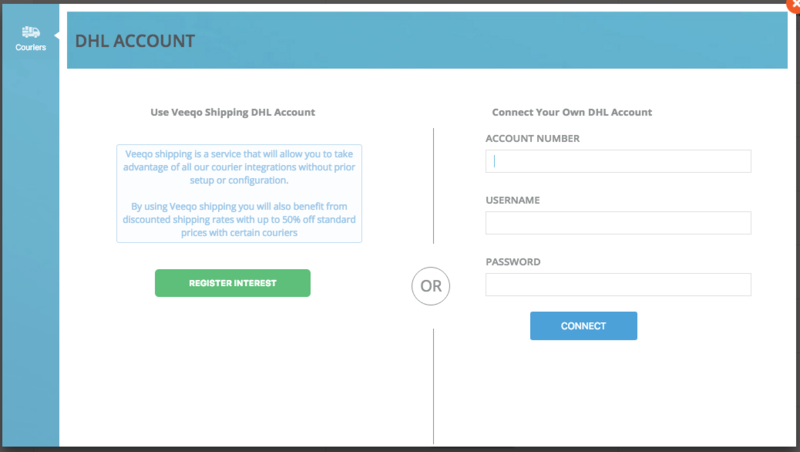 If you would like to create a Veeqo Shipping DHL Account then click on the Register Interest button instead of completing the Connect Your Own DHL Account section.